We can provide information and advice on all aspects of fundraising, from setting up your online giving pages, managing Gift Aid and other tax efficient schemes, supporting with large capital fundraising projects and more. If you need any fundraising help advice or support then get in contact with us. We are offering FREE fundraising workshops. Come to National Office or we can come to you! There are lots of FREE printable resources. 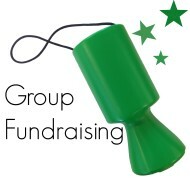 Why not support the fundraising for the RDA National Training Centre project at the same time as supporting your group. Split the money collected 50/50. Using a collection box is simple and easy and can make all the difference, it is a great way to collect loose change, you will be surprised how fast the money adds up. Order some today and spread them around to participants, their parents and carers, to volunteers and their friends and family. Additional information about the scheme can be found on the tab to the right. RDA collection boxes can be ordered for FREE on the group orders website.